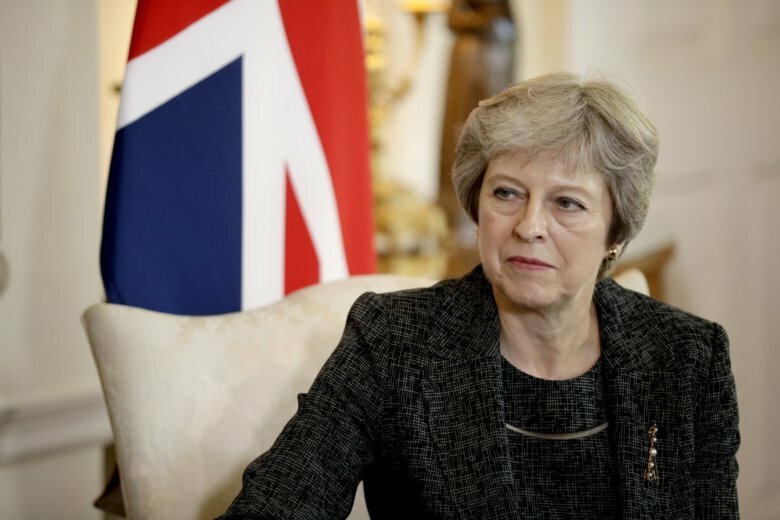 LONDON (AP) — British Prime Minister Theresa May has warned opponents of her blueprint for Brexit that rejecting it means crashing out of the European Union without a deal, an outcome the International Monetary Fund said Monday would have “very large” economic costs. With just over six months until Britain is due to leave the 28-nation EU on March 29, the two sides still have big gaps to bridge in divorce negotiations, and May’s Conservative government remains divided over how close an economic relationship to seek with the bloc after Brexit. May is proposing to keep Britain aligned to EU rules in return for free trade in goods and an open border between the U.K.’s Northern Ireland and EU member Ireland. EU chiefs have responded by warning that the U.K. can’t cherry pick aspects of membership in the bloc’s single market without accepting the costs and responsibilities. May is hoping to win EU leaders around to her proposal at a meeting in Salzburg, Austria, on Wednesday and Thursday. The two sides hope to strike a deal on divorce terms and the outlines of future trade by November, so that individual member states can approve it before Britain leaves in March. That includes a vote in the British Parliament, where May’s Conservatives don’t have an overall majority and where her Brexit blueprint faces opposition from both pro- and anti-EU lawmakers. May is calculating that, faced with a stark choice between an imperfect agreement and the unknown territory of “no deal,” many lawmakers will grudgingly back her proposals. “I think Parliament will vote for a deal because I think people will see the importance of a deal that maintains a good trading relationship with the EU but also maintains good cooperation in other areas, but gives us the freedom to take the benefits and opportunities of Brexit,” she said in an interview broadcast Monday. That outcome is far from certain. Although the prime minister insists the choice will be between her deal and no deal, pro-EU lawmakers want further negotiations, or even remaining in the bloc, to be options. Anti-Brexit campaigners are also pushing for a public referendum on the divorce agreement. Meanwhile, a “hard Brexit” Conservative faction says leaving without a deal is preferable to May’s proposed terms because it would leave Britain free to strike new trade deals around the world. Many economists say leaving the EU without a deal would be economically devastating for Britain. Carlo Piovano contributed to this story.